That is one thing to come out of this vote. There are a handful of states where one party uses a state-funded primary option for delegate allocation while the other uses caucuses. Idaho Democrats have traditionally used party-funded caucuses in lieu of the primary. Similarly, both Montana Republicans and Democrats have moved back and forth between the two options in the post-reform era. 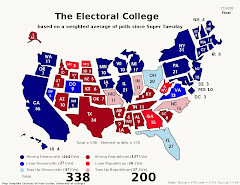 And just this cycle, Washington state's legislature was prompted to eliminate the Evergreen state's presidential primary for 2012 because neither state party has fully utilized the primary option since a ballot initiative brought the contest into existence in the 1990s. Idaho, then, joins Washington in some respects as a state that has completely transitioned this cycle to holding caucuses in both parties with a meaningless or eliminated presidential primary. "I don't know why it took so long for the Idaho Republican party to make this move." "By moving up to Super Tuesday, it's the hope of the central committee and the state party to attract presidential candidates to Idaho, not just to raise money, but to actually campaign for Idaho's votes." The intent is not new, but in execution, this sort of move rarely or never works out as planned. If Idaho Republicans had chosen a date on which their caucuses would have been the only ongoing contest, they may have had more luck in gaining attention. As such, they will have one among many contests on March 6, and most of the many are states in a different region of the country (the South). That said, I suspect Idaho will gain a few visits from Mitt Romney. 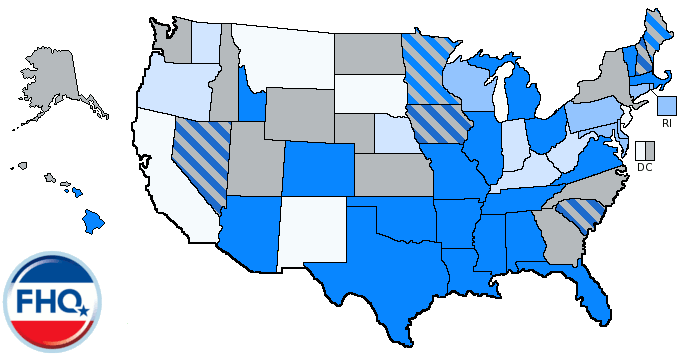 As FHQ speculated in the context of a potential Utah move to the same date and later the early talk about the vote on this Idaho resolution, Utah, Idaho and Colorado would serve as something of a Romney firewall on a day when the former Massachusetts governor is likely to suffer a fair number of setbacks in the other contests in the South (and setbacks is putting it rather diplomatically depending on how the early contests in this race go). Romney did win in Utah and Colorado in 2008 and was out of the race by the time the Republican contest got to Idaho in May of that year. Now, it should be noted that caucuses are indeed a different ballgame, but if the other candidates are focused on the southern contests, Romney may be ceded the caucuses out west that day. He would start out with something of an organizational advantage in each. Will Idaho Republicans get the boost they are looking for? That depends. If they are looking to get multiple candidates into the state, probably not. 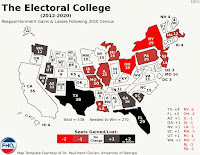 But if they expect to bring in Romney, they will probably get what they are after as most of the other candidates will focus on the southern contests on the same date. Thanks to Tony Roza at The Green Papers for sending this news along to FHQ. Romney ran much harder to the right in 2008 than he is in 2012. He seems to be more of the establishmnet choice in 2012 so how much appeal he has in the Rocky Mountain states is unclear. A poll in neighboring Montana showed Palin and Bachmann combining for over 30% versus 18% for Romney. Also Sarah Palin could be a wild card because she was born in Sandridge, Idaho and graduated from the University of Idaho. Also in 2010, Colorado supported the tea party candidate over the establishment candidate in the US Senate race. If this is Romney's firewall then it could burn down. There's possibly something to the fact that Romney ran to right of, say, McCain in 2008, but my premise of Romney success in these Mountain West states is predicated on the notion that the other candidates will be drawn to the big contests of the day in the South. 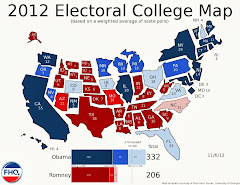 That will, in turn, allow Romney to use his resource/organizational advantages to do well in these states. Colorado may be something of a question mark (Romney did win 60% of the vote on a crowded Super Tuesday there in 2008. ), but Idaho and Utah have high numbers of Mormons within the establishment of the Republican Parties there. As I said the last time you brought up this Palin/Idaho connection, I think she'll get very little mileage out of being born or going to college there (perhaps if she had been Idaho governor). She may do well in Idaho if she jumps into the race, but it will have little to nothing to do with that connection to the Gem state. It isn't an impenetrable firewall, but it is an entirely plausible strategy for Romney to employ on Super Tuesday if it ends up adding Utah as well. Win the three Mountain West states and peel off delegates in the contests across the South.